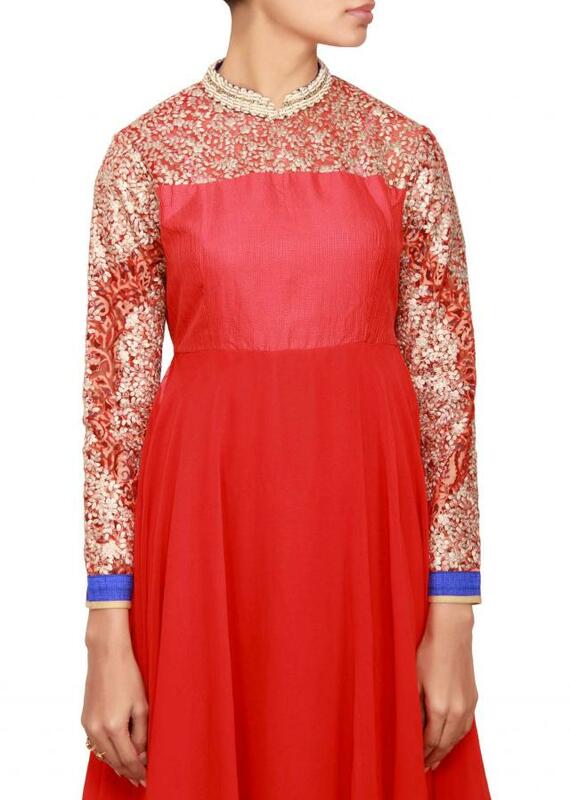 Bodice in red raw silk. 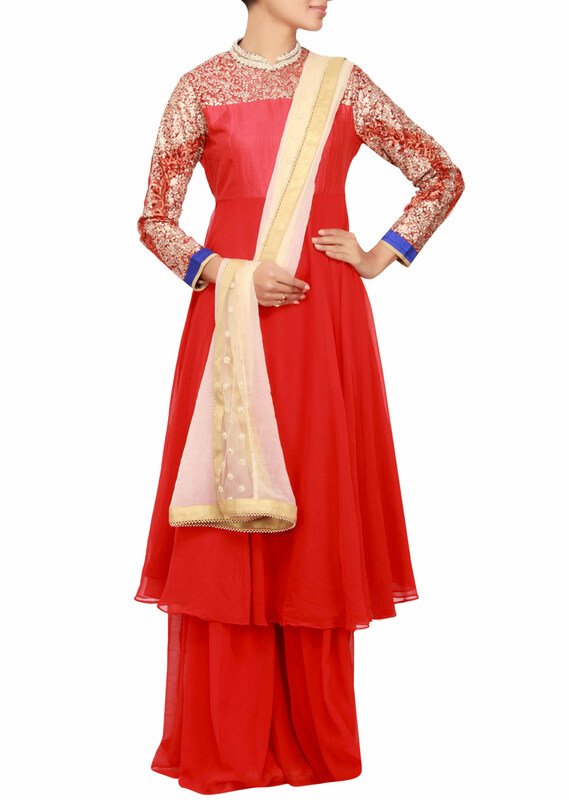 Yoke in red net embellished in gold embossed zari. Neckline has an attached collar embellished in pearl and zardosi. 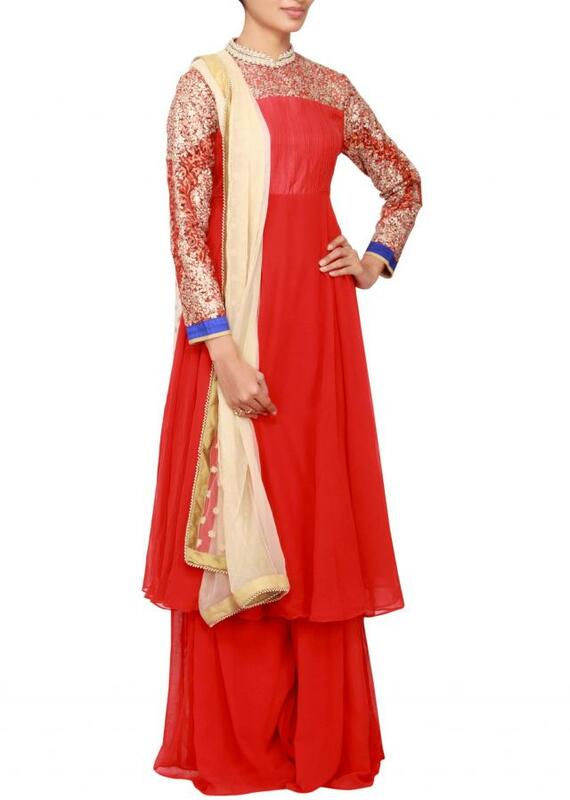 Full sleeves in red net with printed lining embellished in gold embossed zari. 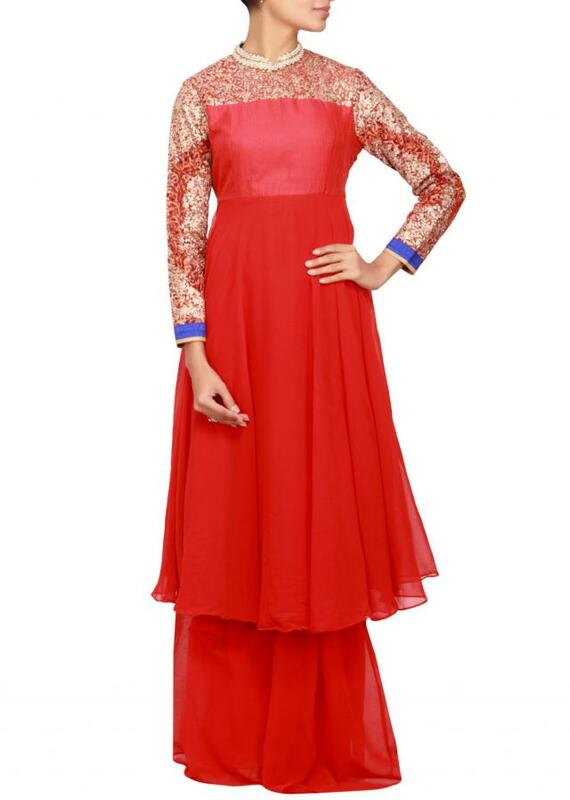 It has side silts from the bustline. 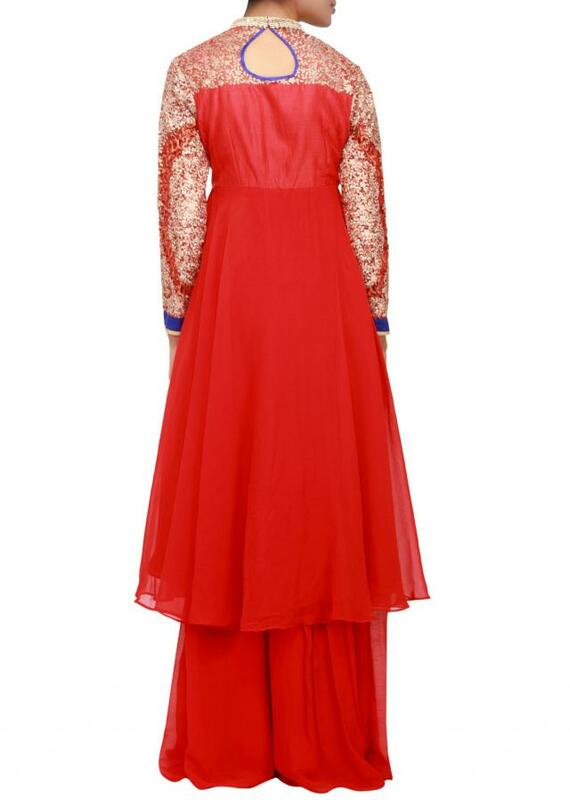 It comes with a red georgette palazzo pant. Dupatta is in beige chiffon.